hahahaha, yes that is a weird title, isn't it? It's been a long time since I had a date with my best beau ... oh, wait, not that long but it's only the second one since we arrived home from Florida in April of this year. Two dates (one was only half a date ... I don't suppose that makes it a raisin?) in 4 months ... well, I guess that a date every 2 months is perhaps not that bad for on old married couple right? We planned to take an hour long cruise on a old-time steamer in a town about half an hour north of us (Gravenhurst, Ontario ... the ship being the Segwun). 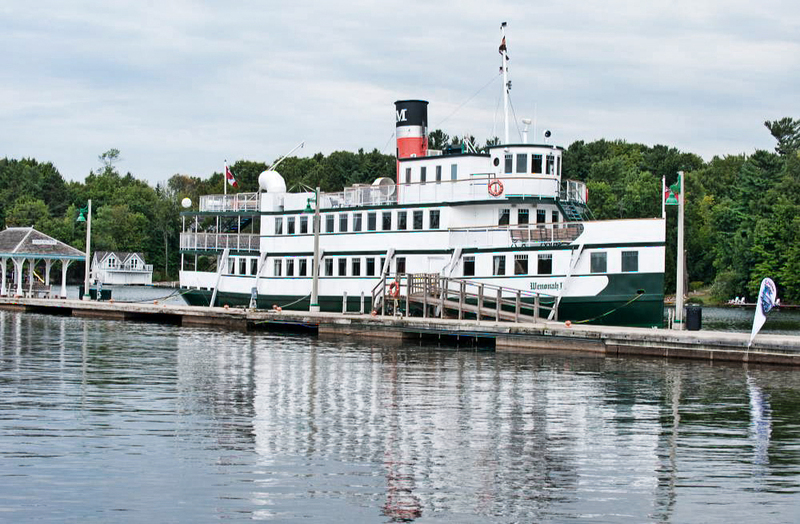 As long as I've lived in Orillia (over 40 years) I've never taken a ride on the Segwun or the Winonnah II. 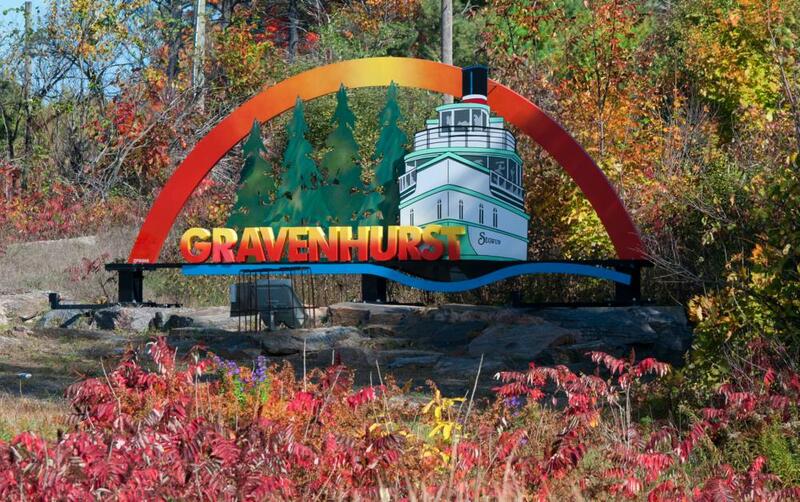 We've spent plenty of time wandering around Gravenhurst and spent time in Gull Lake Park. The one hour cruise leaves the harbour at 4:30pm and returns at 5:30pm, so we figured the evening would have a nice wind-down by having dinner somewhere in Gravenhurst. Sadly, the cruise was over booked for the one hour trip ... 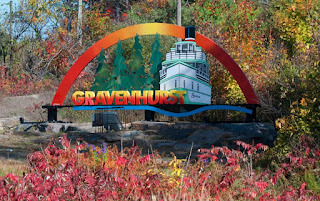 I admit, I was pretty disappointed and really just wanted to head home (it was too early for dinner), but just as we were about to leave town for the highway home I remembered a place I'd discovered before in Gravenhurst, and I wanted to go back. Probably a lot of you won't remember, but old time locals will. 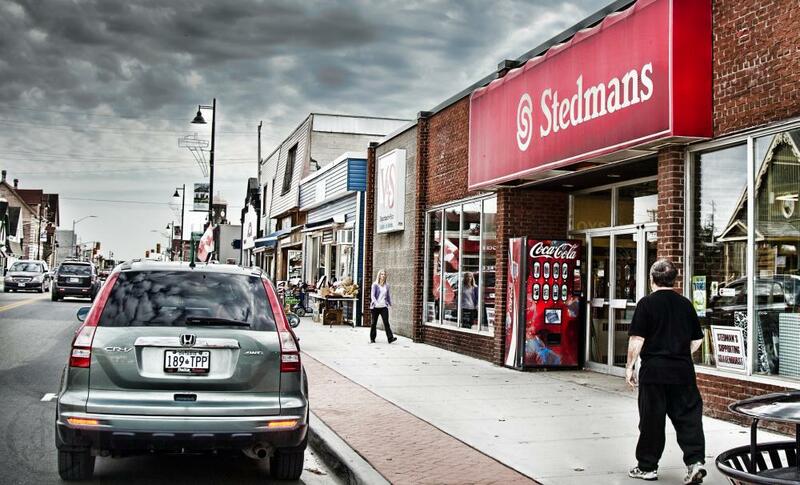 Gravenhurst still has one of the old Stedman's stores. In Orillia, the store (long, long, long gone now) used to be "Stedman's 5 and Dime (I so remember that sign from when I was a kid visiting family in Orillia) and it was an old store in an old building ... creaky wooden floors, a lunch counter and wondrously amazing array of ... well, just about everything. 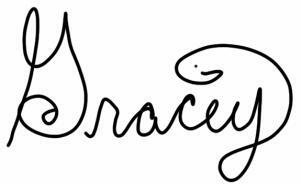 Back then, department stores had nearly everything in them. We spent some fun-time wandering through the offerings, bought a few small things and headed home. By the time we reached Orillia, it was time for dinner, so we took a chance on a restaurant we hadn't eaten in before. The Lake Country Grill. At that time of day in the middle of week, it wasn't crowded yet and the service was quick and our meal arrived fairly quick too (this isn't a fast food type restaurant). My meal (pulled-pork mozzarella melt on a small hoagie, and caesar salad) was really good (the type you'd order again ... and again), and hubby's beef pot pie with fries was equally good. While the date didn't go as planned, we still enjoyed our afternoon out together and since the summer isn't over yet, we'll try for the Segwun cruise again, but this time we'll book our tickets online ahead of time. Our first date of the summer was a trip to Bass Lake with our newly acquired canoe (not a new canoe, just one we bought second-hand) and once we got it on the lake, it was a hoot. Not that we haven't ever been in a canoe before, but it's the first time we've canoed together. We are not a good team, hahaha. His arms are shorter, but more powerful than mine. I have a really long stroke, while he has a short one that pushes a lot more water. He likes to assert his "male supremacy" by insisting on being at the back of the canoe (so to ensure he is "driving" us, lol) but seems forget that as the steering committee, it his responsibility to match his stroke timing to mine, cause I can't see out of the back of my head (that only worked with my kids). 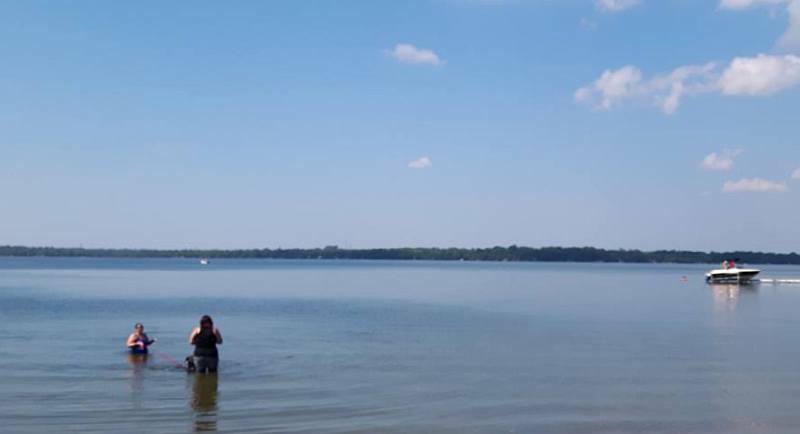 Needless to say, since our strokes didn't match in length, strength, or timing, it was like fighting each other and the canoe went in directions we didn't plan for. 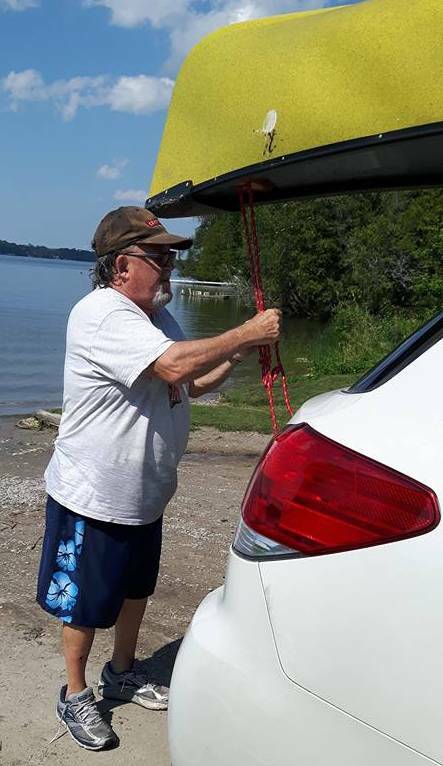 Once back to the shore it was my responsibility to get the canoe onto the beach (with him in it) so he could get out (physical limitations mean I have to help him in and out). 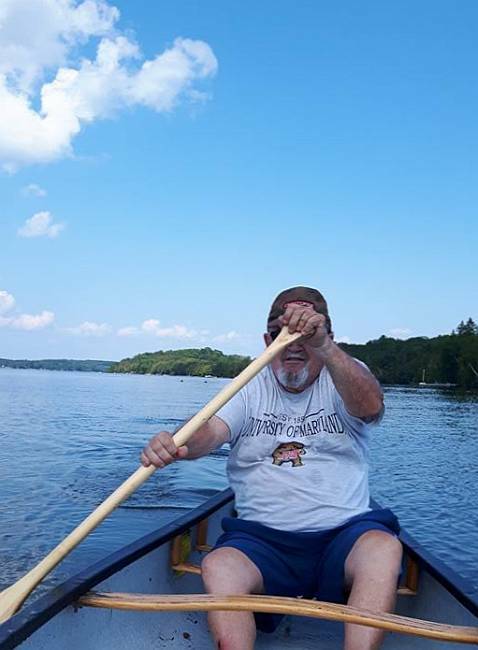 I managed to catch my foot under the seat, and tumble out of the canoe and into the water. Even with those issues, we had a good time on the lake, and that was our exercise for the day too. Spending time together out in the middle of nature, under a warm sun with the wind blowing gently ... you couldn't ask for much more. At least, I couldn't. That's the type of date I'd take anytime. Some things in life cost nothing but your time, but leave you with some lasting memories.